Natural Eco cardboard cover with black stud closure. 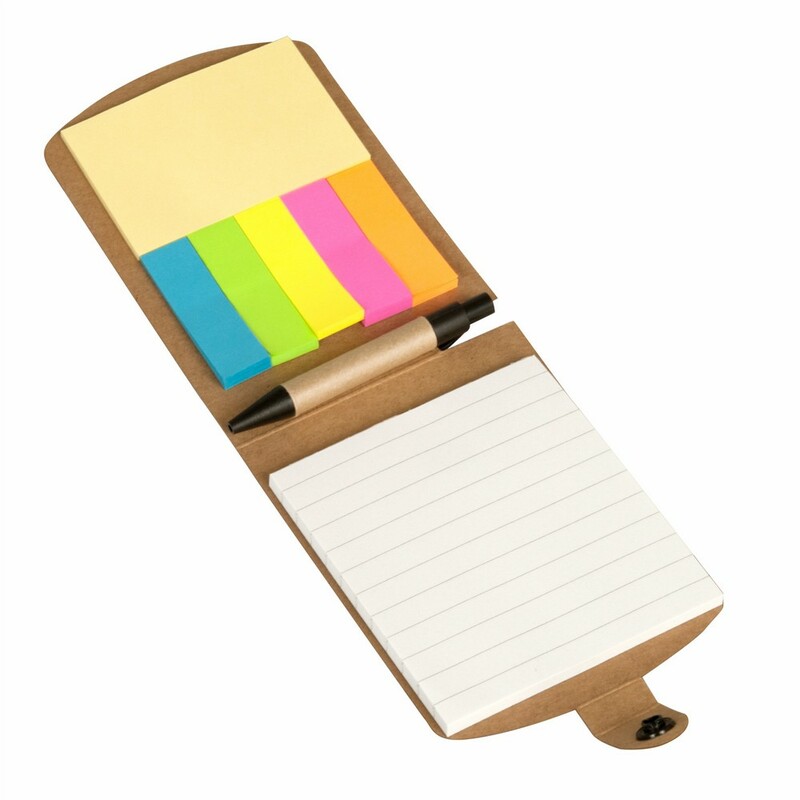 Mini notepad with 50 pages of lined paper, sticky flags and pen. Supplied in Polybag.